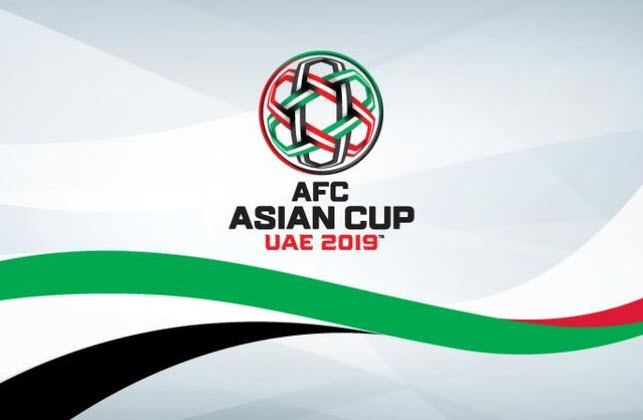 Even though there are tougher challenges that lie ahead, Australia managed to answer a few burning questions regarding their quality in the Asian Cup when they produced a glorious performance against Palestine to defeat them 3-0 in Dubai in front of 12,000 fans. Australia did the bulk of the damage during the first half of the match with a sensational one-two punch. The opening goal was scored during the 18th minute when a beautiful cross from Chris Ikonomidis managed to find Jamie Maclaren among two defenders. Maclaren provided a header to score a goal into the far corner of the post to produce his first goal for Australia. Two minutes after the first goal, the two youngest players in the match combined to produce the second goal for Australia when Ikonomidis provided a stunning cross to Awer Mabil who managed to place the ball in the net at point-blank range at the back post. The third goal from Australia occurred during the 90th minute when Apostolos Giannou provided another header into the net to further extend the lead, ensuring a well-rounded performance from the Socceroos. With two goals within the first half of the match, the Socceroos starting feeling more relaxed as they began kicking the ball around quite comfortably while searching for more goal scoring opportunities. Things definitely turned around for Australia following their devastating defeat at the hands of Jordan in the opening match. During the second half, Australia was content with their lead and did everything in their power to preserve it. They managed to control the tempo in midfield and were rarely tested defensively. Credit can also be given to Graham Arnold who made a total of three changes to his starting squad following the defeat from Jordan. The manager for Australia was quite pleased with his changes, including Rhyan Grant, Jackson Irvine, and Ikonomidis. All three players managed to impress the Australian manager during their match against Palestine. The result against Palestine now places Australia in the second position in Group B where they still need to take on Syria in their final group stage match. With Jordan currently on 6 points in Group B, Australia is unable to take the top spot. Even if Australia manages to lose against Syria, they still have a chance to advance to the Round of 16. 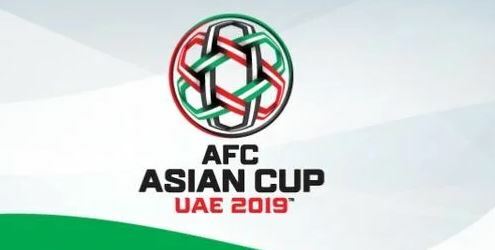 A second position finish will mean that Australia will play against Oman, who the Socceroos beat 5-0 in a warm-up match for the Asian Cup tournament. The first official soccer match that was played in Australia occurred in 1880. 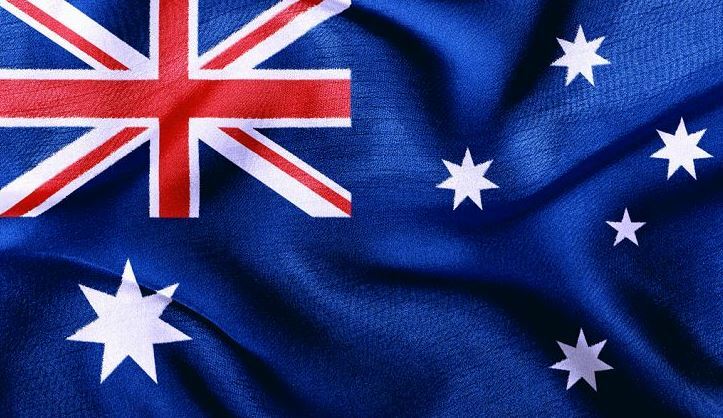 Although the country was introduced to the sport relatively early, they didn’t take to soccer like other countries as Rugby League, Rugby Union, Cricket, and Aussie Rules enjoyed more popularity in the last century. However, Australia does have a vibrant soccer scene as their A-League is improving year on year. 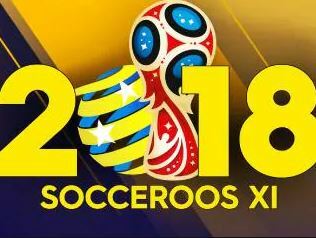 The Socceroos managed to qualify for their first World Cup in 1974 and managed to qualify again in 2006 for a second time. This managed to produce quite a few extraordinary players from the land down under. With that in mind, let’s take a look at the best Australian football players of all time. The strongest position for Australia over the years has been between the sticks thanks to Mark Schwarzer as their goalkeeper. At age 44, he was still playing until 2016 within the Premier League and is the most capped player for Australia of all time with a total of 109 international appearances. He played for clubs like Leicester, Chelsea, Fulham, and Middlesbrough. Mark Bosnich was another spectacular goalkeeper for Australia who spent most of his football career within the Premier League. He is best known for spending 7 years with Aston Villa where he managed to win the League Cup on two occasions. He also played for Chelsea and Manchester United during his career. Luke was considered one of the best players during his prime, playing for clubs like Feyenoord, Dynamo Moscow, FC Twente, Bristol City, and Middlesbrough. With a total of 80 caps under his belt, Luke is considered the 8th most capped player from Australia of all time. Joe Marston was the first Australian to participate in a FA Cup final. While most Australian soccer players were still playing at an amateur level, Joe endeared himself to fans at Preston North End where he turned down a whopping £80,000 offer from the Gunners. Capable of playing both centre-back and right-back, Joe played a total of 185 league matches and won 37 caps for his country. Although he wasn’t considered a world beater, he was reliable and a warrior for the Australian soccer scene. Born in Sydney, he started his football career with Millwall and continued to play for Galatasaray, Everton, West Ham United, Blackburn Rovers, and various other clubs around the world. Neill also managed to win a League Cup while playing for Blackburn in 2002 and accumulated a total of 96 caps for his country during his career. Paul Okon was a phenomenal football player who managed to win the Belgian Golden Shoe award during his career. Due to his numerous moves as a footballer, he damaged his legacy and is renowned as a journeyman more than anything else. Okon managed to play both midfield and defence and spent most of his career in Belgium where he played for Club Brugge. A brand-new Australia will look for consolation during the Asian Cup following their devastating group round exit at the Russian World Cup earlier this year. Under Bert van Marwijk, their former Dutch coach, the Socceroos made an exit out of Russia without any wins and only managed to score two goals due to penalties which underlines the squads’ struggles to score a goal against other quality defences. Graham Arnold, the new head coach of the Socceroos in his second stint, has managed to shake things up when it comes to the attacking formation, going with three interchangeable strikers at the front as opposed to using the traditional centre forward. This new move has managed to pay dividends while playing against lighter sides, especially when you look at the 4-0 victory against Kuwait who is currently ranked 158th in the world and the 3-0 loss against Lebanon who is currently ranked 81st in the world when they played friendlies against these two teams. However, against South Korea, the current heavyweights in Asia, the new formation was far less effective and the Socceroos required a last minute equalizer from Massimo Luongo to take a 1-1 draw during their match in Brisbane even though Australia was dominant during the game. Placing the reality check aside, Arnold believes his team can win every match in the UAE. The determination portrayed by Arnold might also be fueled by the need to eliminate the stain that is currently over the Socceroos when they had a poor performance during their debut in 2007 when Arnold coached the Socceroos to a quarter-final exit when the tournament was co-hosted by Malaysia, Thailand, Indonesia, and Vietnam. Having surpassed Guus Hiddink following Australia’s performance during the 2006 World Cup where they managed to reach the final 16, Arnold inherited a team that was predominately equipped with European-based players which suffered heavily under the Southeast Asian heat before they were eliminated by Japan due to penalties. Arnold publicly criticized his senior football players throughout the tournament and 6 months later was surprisingly replaced by Pim Verbeek where he was demoted to assistant coach. When you compare the players that were used during 2007, Arnold will need to rely on a modest roster during his time in the UAE. The Socceroos lost a great deal of experience following the international retirements of Mile Jedinak as the long-serving skipper and Tim Cahill as the leading goal-scorer. There’s only 8 out of 23 players in the current squad that share in the triumph of 2015. However, the current squad still has loads of quality, featuring 6 who managed to play during the South Korean final which includes Mathew Leckie, Luongo, and Matt Ryan. The defence of Australia is considered one of the strongest in the Asian Cup tournament and Arnold doesn’t see why he should make any changes to improve on it. Rhyan Grant, the Socceroos defender, insists that his side will make their way to UAE for the Asian Cup next month and is certain that they possess both the game plan and the players to claim continental titles back-to-back. The planning by Graham Arnold, the Socceroos’ head coach, has been severely clouded due to injury concerns when it comes to his creative key players where Daniel Arzani has been ruled out after suffering a severe knee injury that ended his season with Celtic in Europe. Midfielders Tom Rogic and Aaron Mooy has been included in the 23-man team, even though Mooy was ruled out for at least 6 to 8 weeks following a Premier League game against Arsenal recently. The injury will see him miss most of the early stages of the tournament, but Arnold decided to het his own medical expert who will report back to him later this week after doing an assessment on the fitness of Mooy prior to the start of the tournament. This is how important Mooy is to the team and they will have until 5 January 2019 to make the necessary changes to their overall squad. After Bert van Marwijk made his short-term appointment during the World Cup, a new manager was brought to the team to take over the Socceroos by the name of Graham Arnold. Since he started with the team, he has made several improvements which is why everyone is excited to see how the Socceroos will perform in the upcoming Asian Cup. This can definitely be a new era for the national squad thanks to a brand-new head coach. The FFA (Football Federation Australia) has recently confirmed that the Macarthur South West Sydney and the Western Melbourne Group will join an expanded A-League in 2019 and 2021. The Western Melbourne Group is going to join the A-League during the 2019/20 season, while the MacArthur South West Sydney will enter the campaign after the 2020/21 season. To successfully expand the tournament in this way, the FFA Board took the FFA Senior Executive’s recommendations. Two directors, including Joseph Carrozzi and Remo Nogarotto, excused themselves from decision-making and deliberations on the matter. Chis Nikou, the FFA Chairman, stated that it’s currently a very exciting time for Australian football and that the level of interest from prospective bidders highlighted the enormous potential in joining the A-League. David Gallop M, the FFA Chief Executive Officer, stated that the decision to give licenses for both the 2019/20 and the 2020/21 season will mean that the benefits of the expansion will be felt immediately and allow more than enough time to completely establish operations. The project for expansion commenced almost 12 months ago where the FFA Board accepted the last recommendation wholeheartedly. One of the best things about the Western Melbourne Group is the incredible proposal to construct the first football-specific and football-owned stadium in Australia. 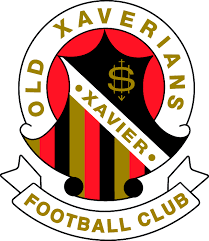 Gallop stated that the region in the South West Macarthur will be represented by over 50 grassroots as well as clubs in the National Premier League with a diverse and large population base that will undoubtably continue to expand. Australia, becoming world champions in a sport fighting for space in a flooded domestic market. It might have seemed an imaginary notion previously, but not anymore. The Matildas are currently ranked 6th in the world and is patiently waiting to be seeded once the groups are decided. There are several nations who will make their way to France, each with their own dreams and ambitions to dominate the world on a global scale. Germany, the European heavyweights, along with France as the host nation, are considered 2 of the 3 favorites. However, the United States will undoubtedly be the biggest obstacle for any team in the World Cup. They have the winning mentality and the knowledge of winning as they’ve already won a World Cup before. Alanna Kennedy, the midfielder for the Matilda’s, believes any country that is currently on the Top 10 in the world will pose a challenge for America. “One cannot deny that it will be extremely difficult. We have loads of small steps to take along the way to eventually reach it. However, we are highly determined that we will reach the end victorious,” Kennedy stated. It created a series of jaw-dropping performances. The win over the United States formed part of a Nations Tournament where Brazil and Japan were also outplayed. The team’s momentum furthered during two friendlies against Newcastle and Penrith where they managed to win both. The results have unfortunately been less extraordinary during 2018, but the performances have remained exactly the same, if not better. Just to give you an idea of how good the Matilda’s actually are, they were the only team from two that managed to draw against the United States, a team that claimed 15 victories from 17 matches. There’s no doubt that Sydney has a marvellous selection for potential football stars to attend world-class soccer academies at both junior and youth levels. 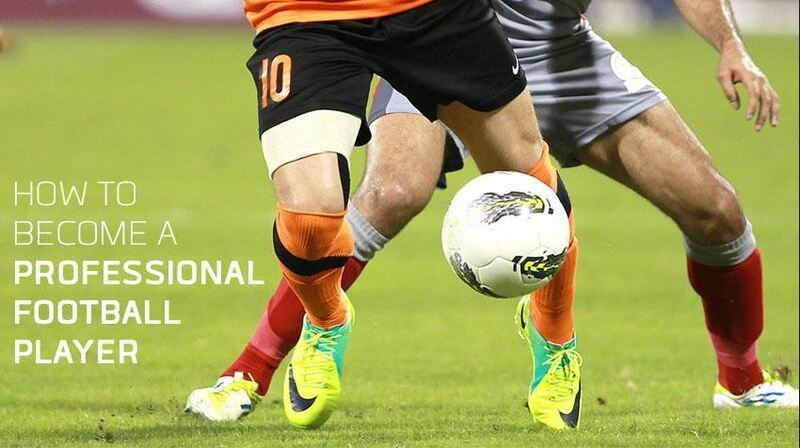 Most of the current professionals in Australia that are playing in the A-League have spent a considerable amount of time at one of Sydney’s soccer academies, and therefore we decided to list them below to help you fine-tune your skills to become a soccer legend. The Milan Academy is owned by Andrea Icardi. He began with Milan at the mere age of 10 and spent a total of 13 years playing for the phenomenal club. He currently utilises his strong knowledge of the sport to develop the prospects of players of Australia further. The soccer academy offers a fantastic combination of professional training along with didactic, disciplined drills to hone the skillset of each athlete. From February to December, the advanced academy is available, allowing players to deepen their understanding of the tactics and techniques used in European football. 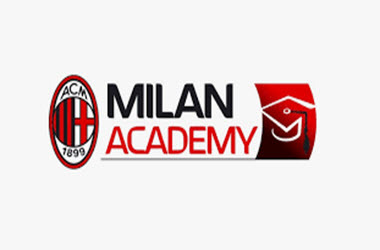 There are loads of other programs available at the academy as well, including goalkeeping, Milan Pro, Pre Milan Pro, Junior Academy, Basic Skills, Mini Milan, and more. 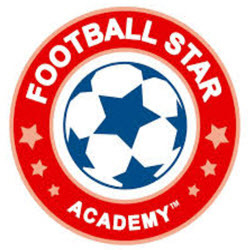 The Fast Academy is headed by Ivan and Milan Bosnar, two brothers who played professional soccer for Sydney United. Several valuable programs are offered at FAST Football Academy, including the development academy and one-on-one training. The unique one-on-one training is only available on request and will set you back $50, whereas the Development Academy takes place every Monday and will last for about 75 minutes. The primary focuses at FAST include basic skills and game situations and position specific training. Ben Burrows manages the Red Devils Football Academy, who previously played for both the Wollongong Wolves and West Ham United. Ben has also managed to produce some spectacular players at the club, including Danny Murphy, David Platt, Robbie Savage, and Neil Lennon to mention but a few. Small group training consisting of two-four athletes along with one-on-one training is featured at the academy. Each Friday, you can also enjoy an incredible skills training session from 18:00 – 19:30. This renowned football academy provides a wide range of vital programs for senior, junior, and youth athletes. Goalkeeper, holiday camps, elite squad, one-on-one, and weekly clinics are also available at the academy. The Centre of Excellence is one of the best programs available at the academy, specifically designed for athletes who are dedicated to the sport. The program stretches over 12 months and only accepts a total of 36 players every year. Max Andreotti manages the Sydney Boys Football Academy, who previously played as a pro in Italy and has managed to coach teams in multiple age groups. He is currently scouting Oceania/Australia for potential youth players to play in the Serie A League in Italy. The football academy consists of 5 different levels, and they are offered all year round.